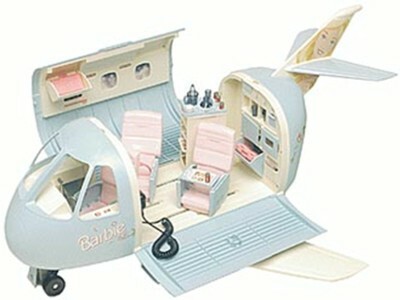 It was a deluxe Barbie airplane with reclining seats and mini-trays. I looked up at it on the top shelf of the Barbie aisle in Toys ‘R’ Us and imagined the stories we could tell with it. Trips to Italy, visits to relatives, and vacations in Disney Land could all be made possible by the contents of the box atop that shelf. “It would Megan,” my dad said cautiously. He had seen the price tag. The toy was one-hundred and twenty dollars. The funny part was that I had enough money. I had really taken the Wait a Week principle to heart. By the time that I was in grade school, I not only waited a week, sometimes I would wait two weeks. Then even after waiting all that time and remembering the toy each time, I still didn’t buy it. As a result of this frugality, here I was on the Barbie aisle with enough savings I could purchase things previously unattainable. In fact, I could purchase anything on the aisle. I told my dad this fact, who took the opportunity to teach me a lesson about spending. He agreed that I could buy the plane. I stared up at it in a standstill with its price tag; I had never bought something for so much money. I asked him to take it down and put it on the ground where I could look at it. I watched it, as if waiting for the plane to unfold its secrets to me. My dad was teaching me the opportunity cost of the airplane. He was showing me the alternative opportunities that I would be giving up by buying the toy. Was the Barbie airplane worth one-hundred and twenty dollars? I couldn’t decide. But was it worth twelve Barbies? That seemed unlikely to me. So, I asked my dad quietly to put the airplane back on the shelf. Through some simple statements of fact, my dad taught me the value of money. He taught me not just to evaluate my desire for an item, but also its cost, in both dollars and opportunities. It is important to learn to evaluate purchases with all the costs in mind.